If coaching couples about their finances has taught me anything over the years, or being married to man who is the opposite of me in many respects, it’s that there are so many ways to talk about money together. There are also so many ways not to talk about it, especially when you’re ready to stretch your dollars and your spouse is not. If you have a reluctant spouse when it comes to cutting back and living on less, the biggest barrier that can be addressed isn’t pride or obstinence or denial. It’s communication. You can’t change your spouse’s attitude about money any more than you can change the temperature on a winter day. If you are reading this article to figure out how to change, manipulate, or control your spouse, you will be grossly disappointed. If, however, communicating with your reluctant spouse means you’re willing to put aside your differences and past hurts, so you can really listen to him or her with an open mind, then please continue reading. That old saying is true: When you point your finger at someone, don’t forget that three are pointed back at you. Even if you know your spouse is in the wrong, accusations are a good way to start an argument about money, which is one of the leading pre-cursors to divorce, according to Sonya Britt, a Kansas State University researcher, whose findings were published on The Huffington Post. For example, instead of saying, “You spent too much on fast food again this month,” say, “What do you think of us eating at home more often as a family instead of eating out as often this month? What kind of snacks and meals would you enjoy having at home? The focus in this example is entirely on eating at home together as a family, rather than your spouse’s overspending this month. You can even try recreating some of your family’s favorite restaurant meals at home. My husband loves French fries and I love chicken fingers or chicken nuggets. They’re not healthy, but, hey, that’s where our money was going. One day at Costco, I realized I could buy five-pound bags of nuggets and fries to last us the month or more and save us a bundle. As a surprising by-product, we eat more servings of fruit and vegetables when we eat at home, thereby staying healthier for less money. There is a time and place for acknowledging a wrongdoing, but holding a grudge or being resentful toward your spouse is toxic for both of your hearts. That kind of ammunition won’t get you very far in being unified about money. As an alternative, tell your spouse that you believe in him or her. Say things like, “I believe in our future together.” If specific stories in your past have caused mudslinging between you, then don’t bring them up this time. 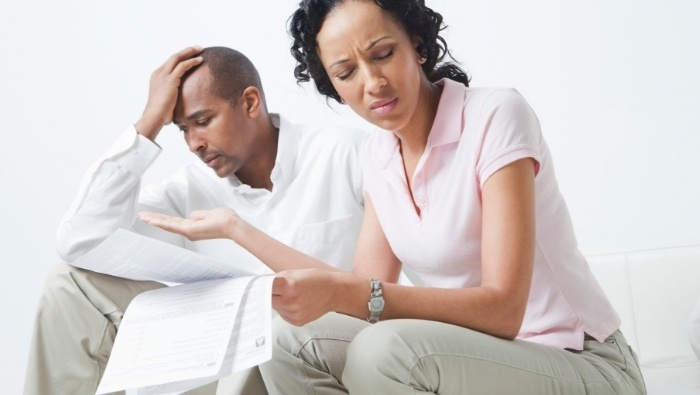 Don’t hide your feelings, but help your spouse right his or her own financial wrong. Related: Are You Financially Unfaithful? Your spouse has a whole slew of feelings about past financial mistakes, too. Do you know what those are? If you want so desperately to be understood, and we all do, remember that your spouse needs to be understood as well. 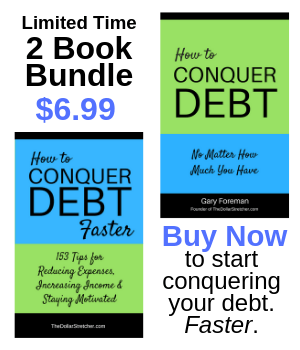 Approaching your spouse with the desire to attack debt is a great ambition, but focusing solely on things like cutting up his or her credit cards, restricting spending, and tightening the budget can drive a reluctant spouse away faster than an Indy car on race day. As an alternative, focus on the positive outcome you hope to achieve after getting out of debt. For example, talk about no longer living paycheck to paycheck, taking the kids to Disney, being able to save for emergencies, not feeling so burdened, being able to give more, etc. This is called opportunity cost and is a great way to encourage your spouse (as well as yourself) when you’re trying to spend less and save more. Dave Ramsey says, “Personal finance is 80% behavior and only 20% head knowledge.” This is why focusing on the heart of the matter is so much more important than the numbers. Where the attitude goes, the account balance will follow. Remember that the next time you approach your reluctant spouse about your frugal goals. That conversation, and the ones to follow, are far more important than the dollars that climb in your savings account as a result.